Scopia is clear and uncomplicated. Modern and easy to configure, this single unit system easily adapts in its appearance and practical features to meet all furnishing wishes. Since the carcase is made up of two shells, there is an almost endless number of ways of combining lacquer and wood surfaces, a feature which would not be available if a different form of construction was used. Open and closed units can be fitted at will. 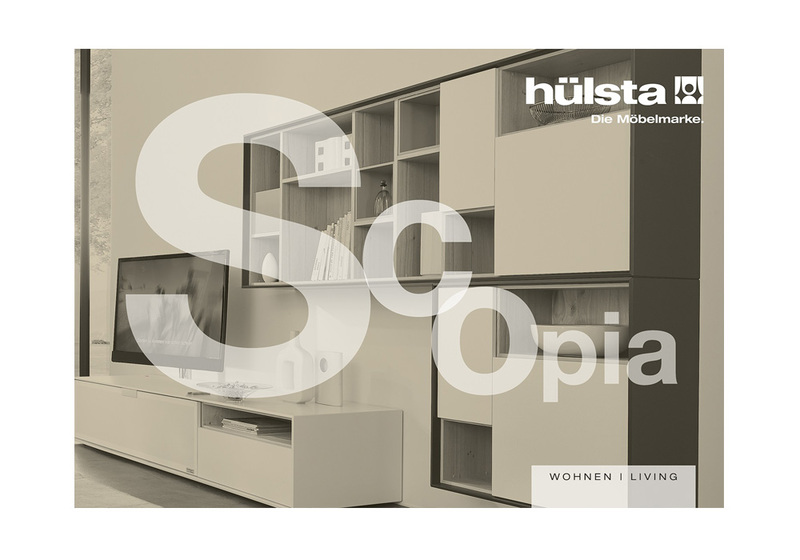 With its floor and wall units and its narrowly defined scale of sizes, Scopia is so flexible that it is easy for it to solve any furnishing problem. An excellent sound system and an innovative lighting system create the desired atmosphere.